Graded VG 3 by PSA. Superb midgrade example of one of Ty Cobb's most classic cards from the T206 White Borders series, with an Old Mill back. 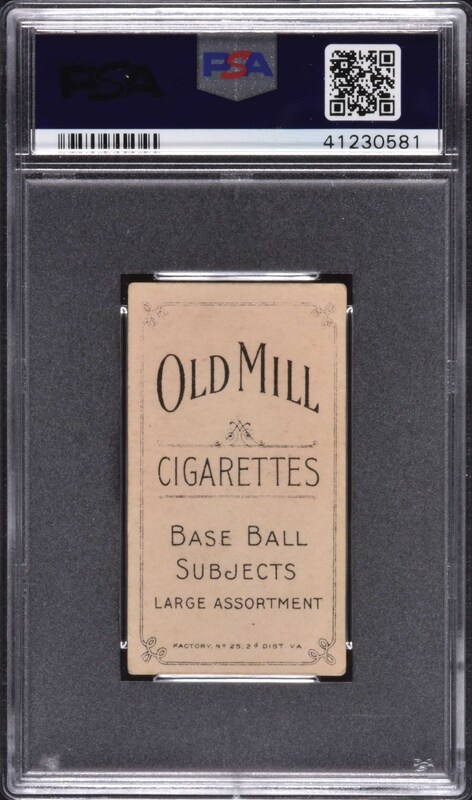 Old Mill is an uncommon back, certainly not in the same league as Drum or Uzit, but unusual and seen far less often the standard Piedmont or Sweet Caporal advertising backs. The T206 Ty Cobb portrait pose is one of the key cards in the set. The offered example has virtually perfect centering, vibrant colors, perfect registration, even wear on the corners (a corner bend in the lower right), and a diagonal crease in the upper left. Crisp and clean Old Mill advertising reverse, boldly printed in black ink, and centered almost perfectly. 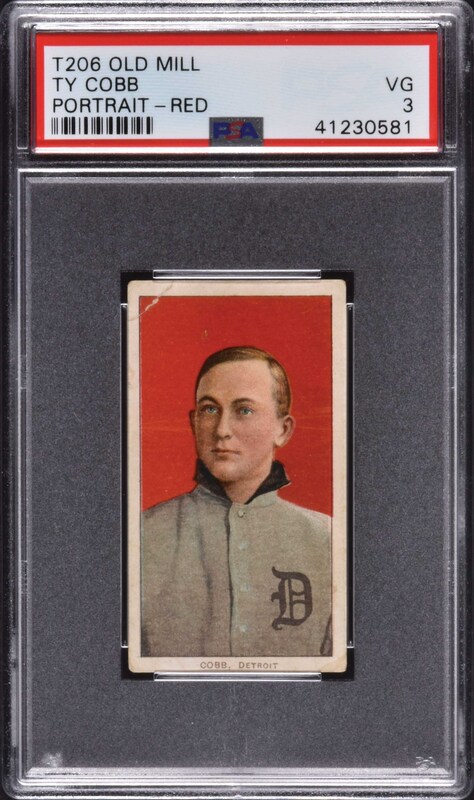 This is a very attractive midgrade example of one of Ty Cobb's most popular cards with a desirable Old Mill reverse. Reserve $300. Estimate $1,000+.